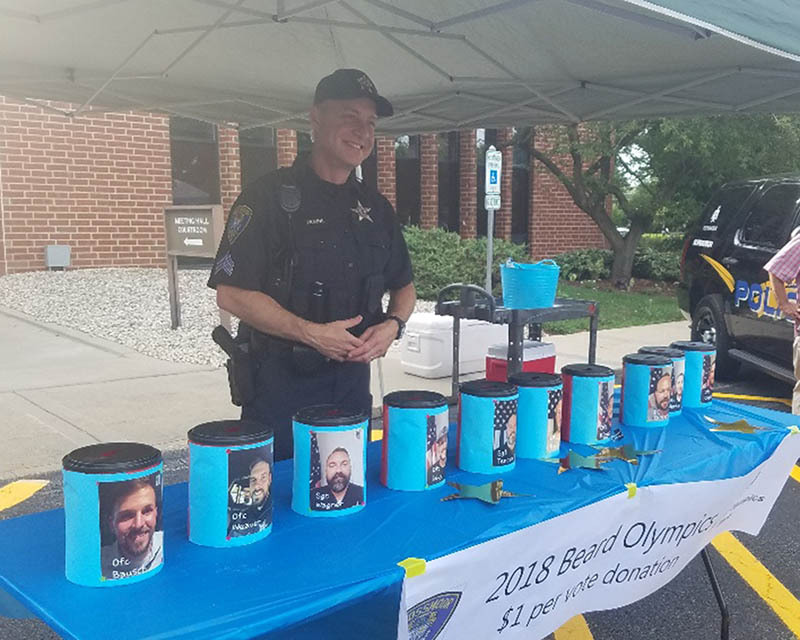 Police officers must remain clean-shaven for their job, but Police Chief Michael Pulec let that rule slide for officers who wanted to donate $50 to Special Olympics for a chance to grow out their facial hair and win department bragging rights. 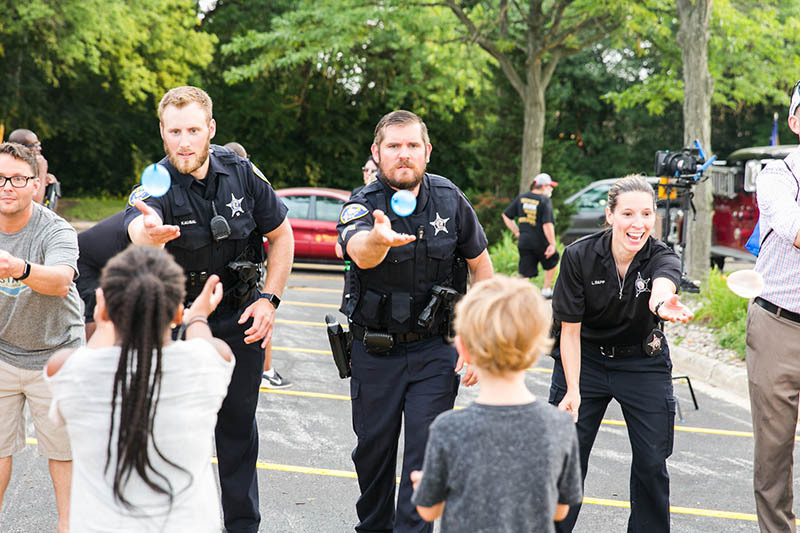 During National Night Out festivities at Flossmoor Village Hall, attendees could vote for their favorite coiffed cop by placing a dollar donation in one of 10 buckets, each adorned with a photo of a smiling officer. 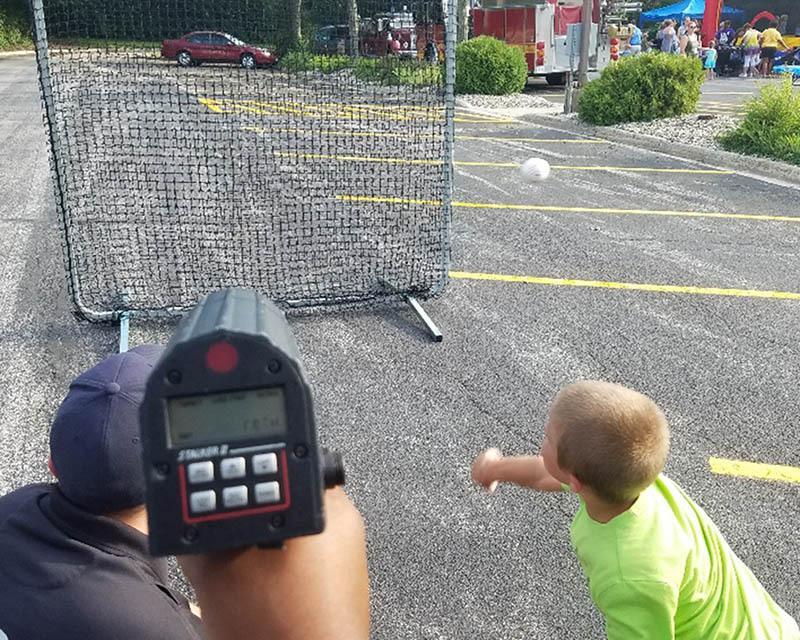 By the end of the night, Sergeant Clint Wagner won the contest, which raised more than $500 for Illinois Special Olympics. Even with his compelling facial hair pitch of, “Salt and pepper, baby! It shows my age and wisdom,” Sergeant Brian Tencza didn’t win the beard contest. 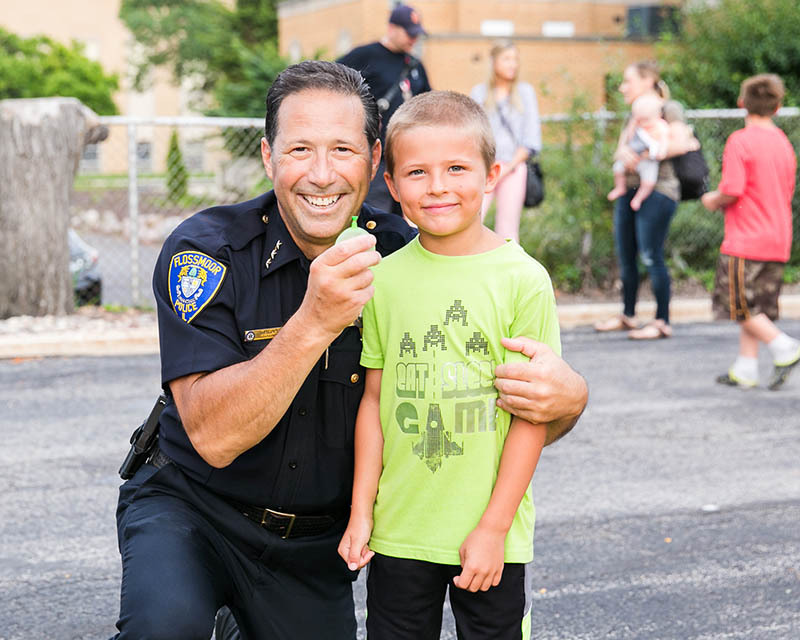 Tencza was still sporting his black and gray beard during National Night Out, which is an across-the-country network of events focused on strengthening the relationship between emergency service departments and their communities. Tencza showed bulletproof vests, helmets and other tactical equipment to residents who got to check them out and try them on. 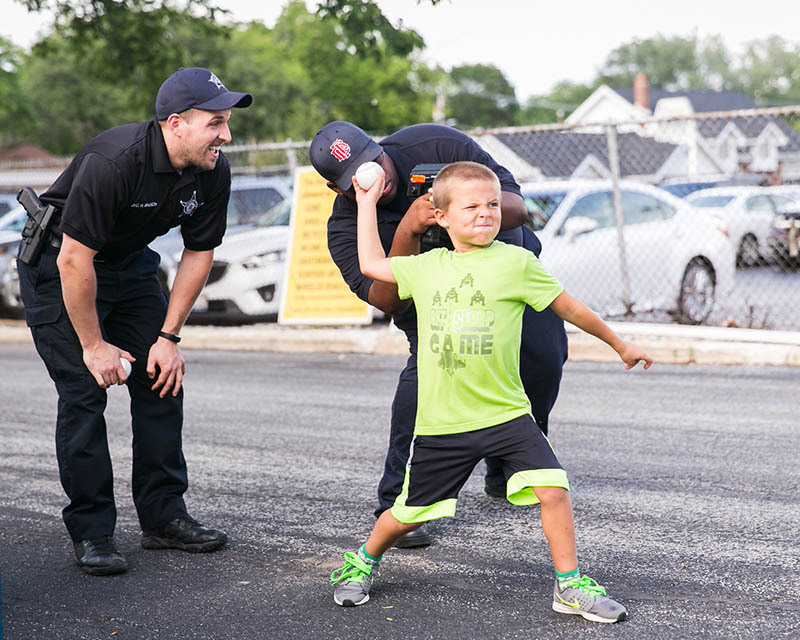 As a coordinator for the South Suburban Emergency Response Team, Tencza offered a reminder that many officers at the Flossmoor Police Department also serve with other law enforcement agencies. 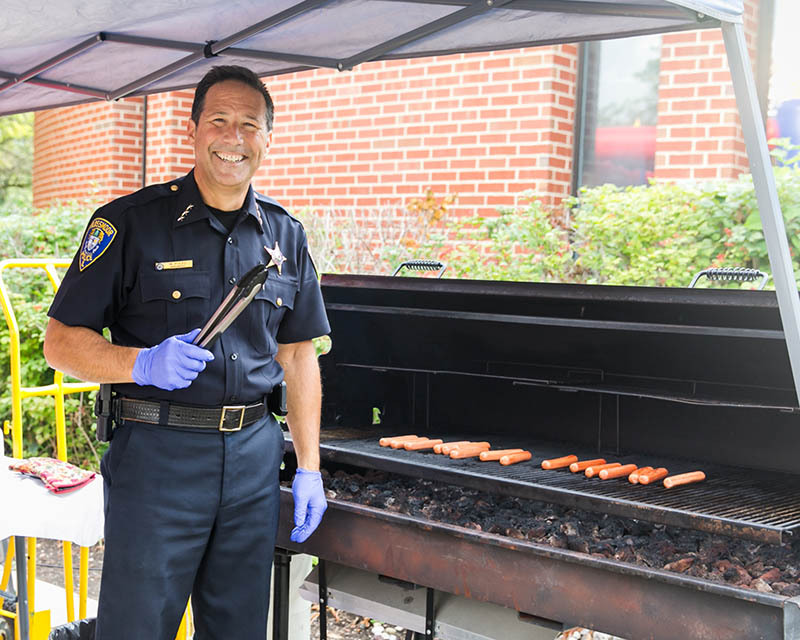 Pulec was busy during National Night Out grilling up complimentary hot dogs, which attendees grabbed up along with chips, water and juice. Another officer acted as deejay, playing upbeat tunes as kids bounced in the jumpy castle. 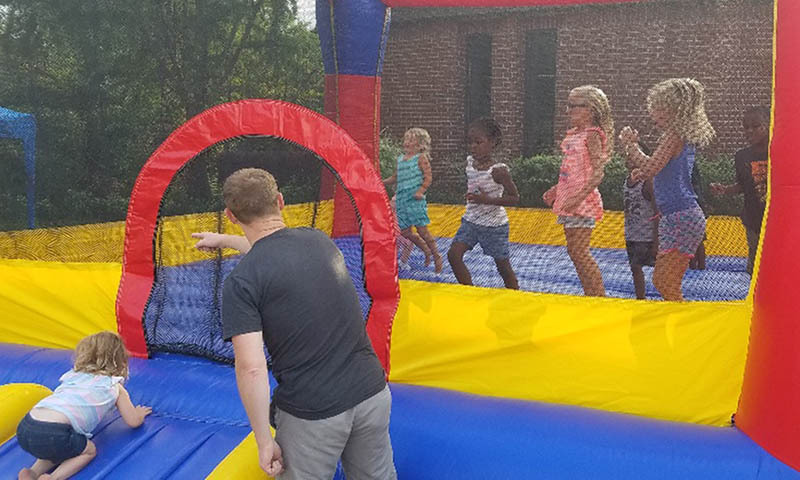 Patrolman Lisa Bapp was on the jumpy beat, supervising to make sure the kids were bouncing safely. 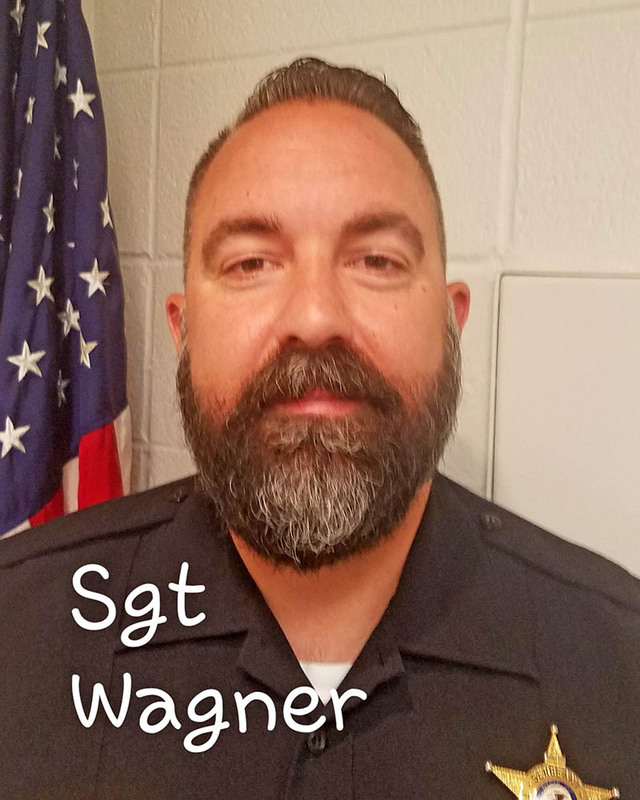 Bapp has been a Flossmoor police officer for 11 years and teaches the DARE drug and alcohol awareness program to about 300 fifth-graders in Flossmoor School District 161 every year. 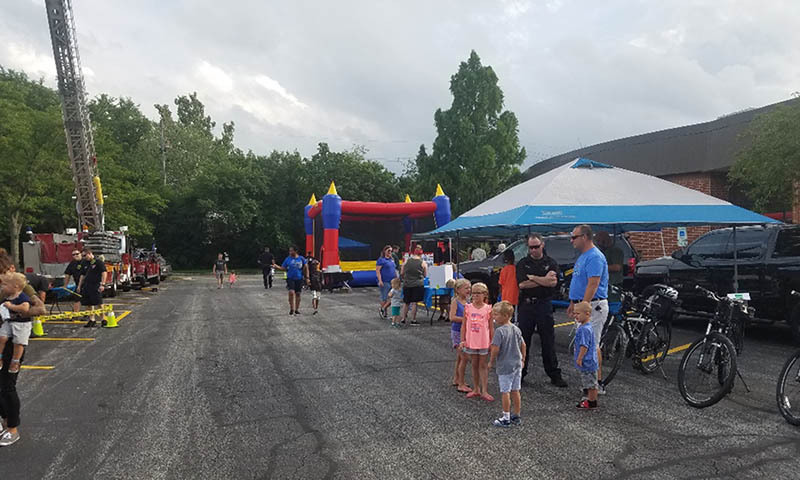 She said getting to interact with residents and answer their questions is the most fulfilling part of National Night Out. 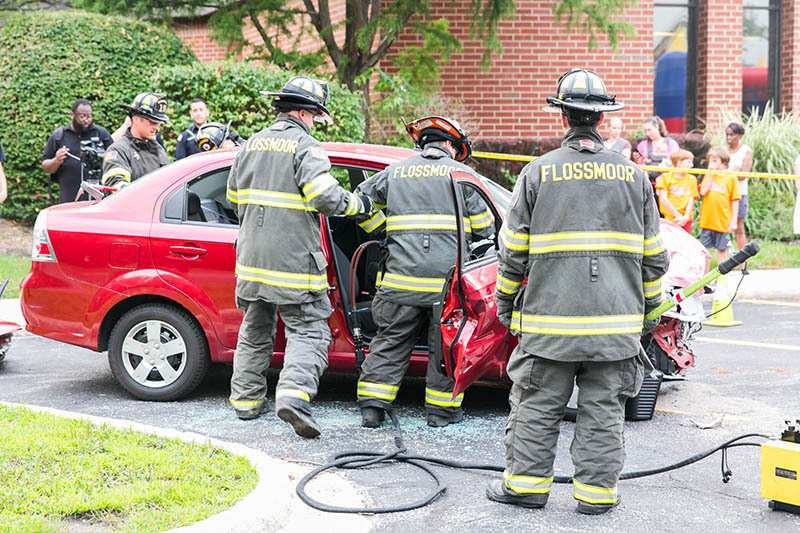 Flossmoor Fire Department had a fire engine on site for residents to explore and a police helicopter circled lazily overhead. E-COM 911 Dispatch Director Jeanine Krull and public education representative Trish McCorkle also talked to residents at the event. At their booth, Krull explained that E-COM 911 Dispatch is the emergency service for Flossmoor and eight other local agencies. Their booth theme focused on bullying, because Krull said it’s such a pervasive problem and many of a child’s other issues could stem from being bullied. On the topic of kids, Krull said the most important thing to teach children in case of a home emergency is their home address. 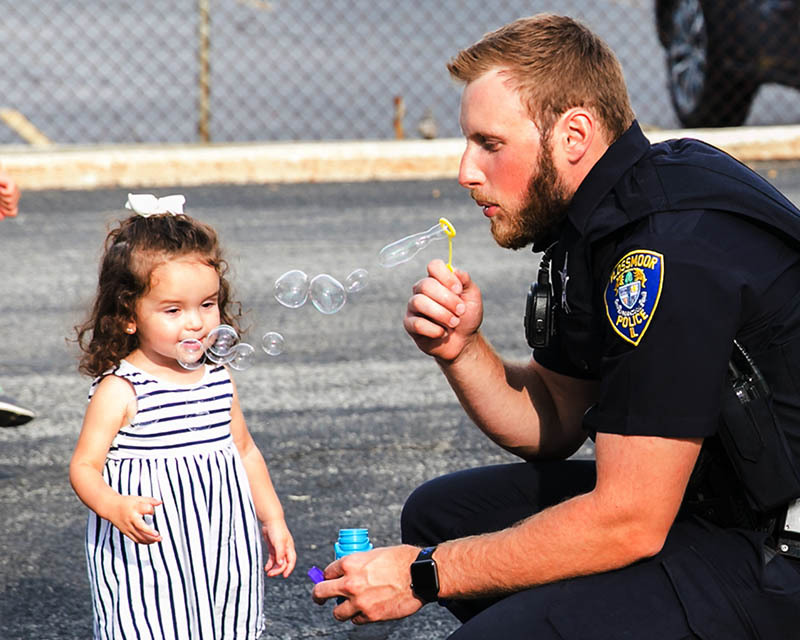 If a child needs to call for emergency assistance, quickly telling the 911 operator their home address could save critical time, McCorkle said. “It’s important to teach children that bad things do sometimes happen, so it’s good to be aware of your surroundings,” McCorkle said. Provided photos by Kimberly Mitchell and Todd Kamleiter.